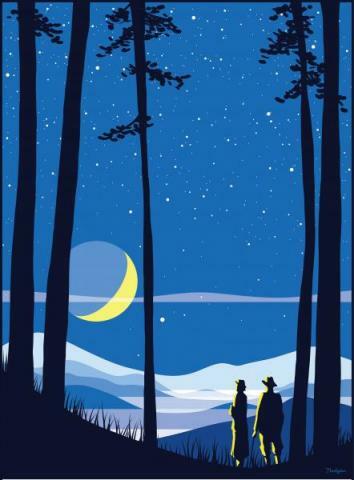 Come spend time with Pack Memorial Library to learn about the moon and beyond at our Star Party! We'll be making crafts, looking up at the sky and learning about space in the lot across from the library as well as in the library auditorium. Visit our celestial photo booth and make a planet mobile. We'll have our telescopes available so you can gaze at the moon, hands-on activities to learn from, and print-outs to take home. The Asheville Museum of Science will have an inflatable planetarium set up in our auditorium in Pack Memorial Library! Volunteers will be around to answer any questions and to give recommendations of what books to check out from the library across the street if you want to keep exploring. Come gaze with us, and celebrate the moon and beyond!